Is a Creator necessary for the universe to begin? In a word: no. So, if a Creator is not needed for the universe to begin (or life, for that matter), then what is left for them to create? 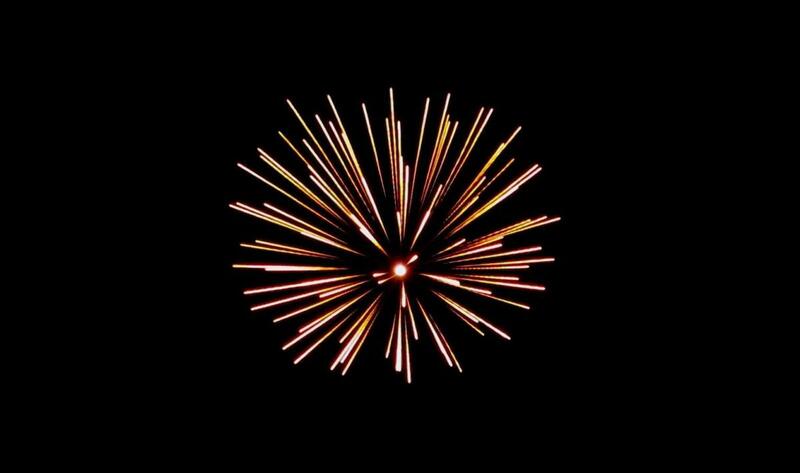 Picture is of a firework at the Hilton Hawaiian Village in Waikiki, Hawaii. Well, before we can explain how the universe can come from nothing, we must first define what "nothing" truly is. If you enter an empty room and are asked what is in the room, you would likely respond with "nothing." This is because your eyes are not capable of detecting anything present in the room. However, your basic knowledge and understanding of modern Biology/Chemistry would remind you that there are air particles and microbes also present in the room, despite the fact you cannot observe them with the naked eye. This same situation occurs when laypeople are asked about empty space. 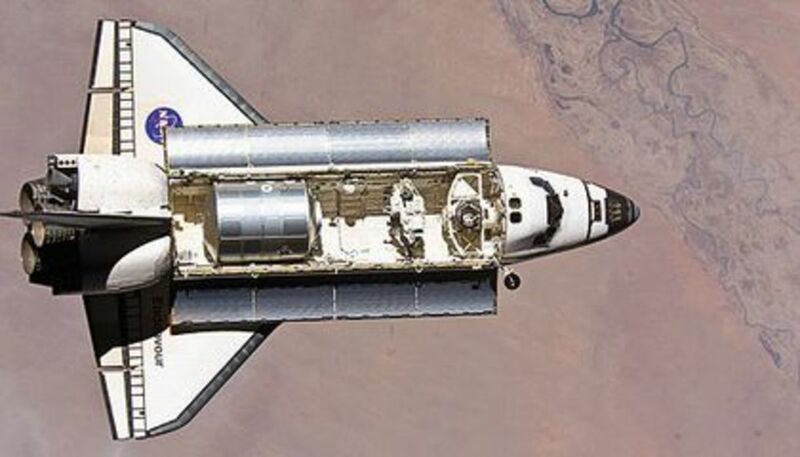 Modern Physics tells us that empty space is never truly "empty" at the quantum (atomic/subatomic) level due to the phenomenon of quantum fluctuation. This book seeks to put everything in the context of astrophysics, which explains the origin of all things. Illustrating how it is possible for something to come from nothing in empty space at the quantum level, according to the phenomenon of quantum fluctuation. Particles and anti-particles may join to again form "nothing." Quantum fluctuations describe how it is possible for the energy at any point in space to momentarily change (such as the amount of charge an electron appears to possess). This implies that a particle-antiparticle pair of energetic particles can spontaneously appear in empty space. This pair of spontaneous particles often collides quickly after spawning, again forming nothing. Quantum fluctuations are permitted to occur due to the Heisenberg Uncertainty Principle, which states that it is not possible to determine both the position and the momentum (velocity times mass) of a particle at any one time. Other than just offering an explanation for how empty space isn't truly "empty," quantum fluctuations can also be applied to our understanding of black holes. 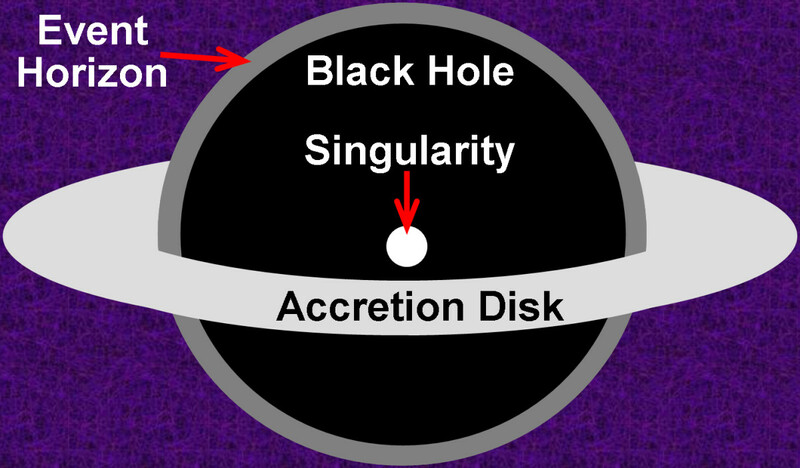 This illustrates a large, actively feeding black hole, with the singularity in its center, the event horizon along its margins, and the bright accretion disk surrounding and feeding it. Sizes are exaggerated for illustrative purposes. Illustrating that quantum fluctuations help explain how black holes can shrink in size (due to the anti-particles falling into the event horizon) while emitting Hawking radiation (due to the regular particles escaping the black hole). Black holes represent an abomination in nature where gravity has gone awry. These are commonly formed when a very large star reaches the end of its life (after it has used up most of its hydrogen fuel and much of the core has turned to iron) and undergoes gravitational collapse. This collapse induces a supernova (a massive explosion that expels much of the outer star material) and the creation of a singularity from the remaining material. A singularity is a place in spacetime that appears to possess infinite density and is where the known laws of nature begin to break down due to our lack of understanding gravity at the quantum level. A singularity has such a strong gravitational pull that any matter or energy coming within a certain range of it is inexorably drawn into the singularity. The outer limit for the range of this "point of no return" is referred to as the event horizon. These things result in the appearance of a "black hole" in the space surrounding the singularity (to the outer edge of the event horizon), where even light cannot escape. Black holes are occasionally surrounded by a bright accretion disk, consisting of the material the black hole is actively "feeding upon" (with some of the matter spiraling down into the event horizon slowly over time and the rest of the matter being carried away from the black hole in polar, relativistic jets). Quantum fluctuations occurring just outside of the event horizon result in the black hole simultaneously shrinking and emitting radiation (known as Hawking radiation). 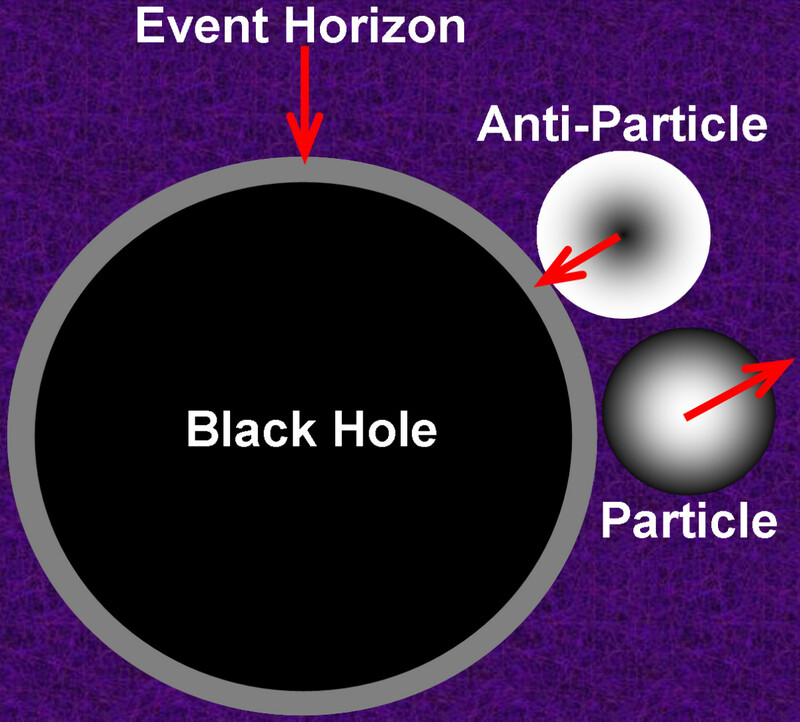 This is because the particle that appears is capable of breaking free of the black hole's gravity (in the form of radiation), but the anti-particle is incapable of doing so and is consequently pulled into the event horizon, thus binding with a particle in the singularity and decreasing the mass of the black hole. This phenomenon partially explains why micro black holes are unstable and quickly evaporate (die). So, contrary to popular belief, there is nothing to fear from any micro black holes that might be created in the Large Hadron Collider at CERN. Black holes were actually the initial inspiration for attaining solid evidence supporting the Big Bang Theory, The same basic concepts and mathematical equations used to explain black holes (how everything can "disappear" down into a singularity) were simply reversed (by Stephen Hawking) to explain the Big Bang (how everything can "appear" from a singularity). This examination of the universe encompasses all things in order to attempt to explain their origins. 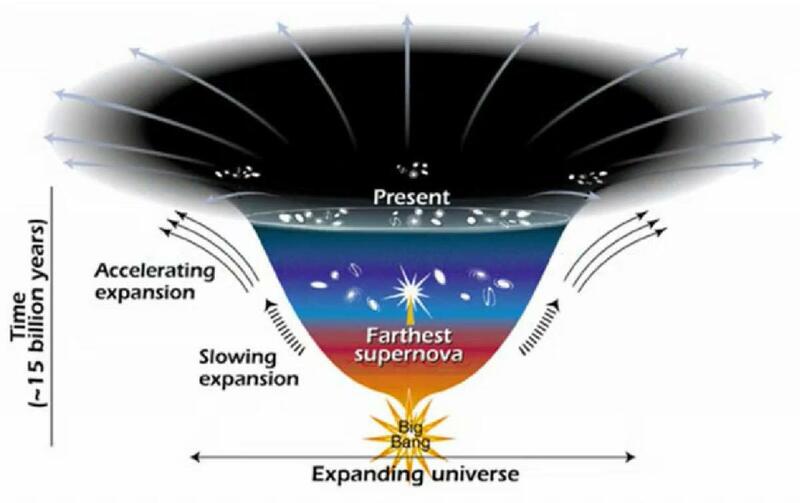 An exaggerated diagram illustrating how the universe could rapidly inflate to a macroscopic size and continue expanding at a slower rate. The balloon pics on the left show a much simpler version of the concept that space, itself, expands. 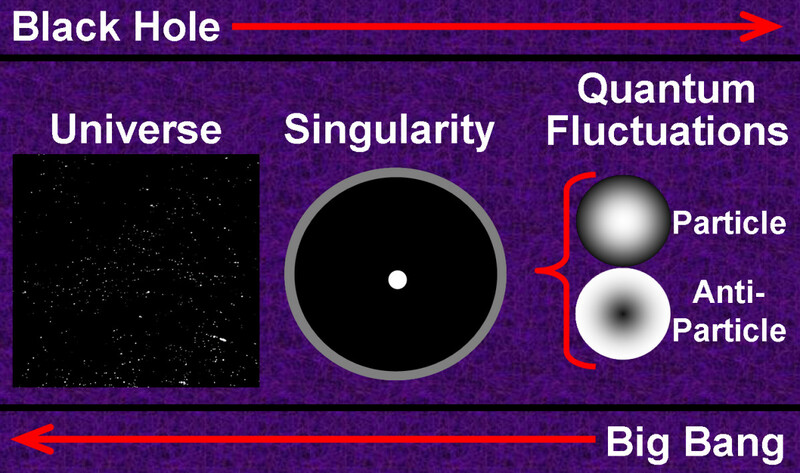 An oversimplified diagram illustrating how a reversal of the basic concepts/calculations behind black holes (large to small) can yield a good understanding of the Big Bang Theory (small to large). How can the whole universe come from nothing on its own? Now that we've established you can get particles from nothing, we have to explain how things scaled up in size from there. I'm going to focus on the theory of inflation in this discussion, as it is commonly the most accepted theory. The early universe is hypothesized to have been a singularity smaller than the size of a proton (although still a subject of debate, it was likely a product of the quantum fluctuations mentioned earlier). Inflation describes how this singularity can, by random chance, expand to a great size (by a factor of ~10^78; approximately 10 to the 78th power) in a very short time (~10^-32 seconds; approximately 10 to the negative 32nd power). This was a self-perpetuating process that led to the expansion of the universe beyond the quantum realm and has since slowed down drastically (as the universe is still expanding). Typically, people refer to this initial rapid expansion as "inflation of the universe" and the slow expansion that is still ongoing as "expansion of the universe." Keep in mind that either of these expansion processes can be thought of as a balloon inflating/stretching, as opposed to the universe simply "leaking" into the empty space around it. This means that during expansion processes, all points on the "balloon" become farther apart (unless gravity/momentum is directing the action, otherwise). Universal expansion can be thought of as a form of increasing entropy (disorder), which follows the known laws of physics. Although the exact mechanism driving inflation is poorly understood, scientists have determined that the chances of inflation occurring at random (to create the known universe) are greater than zero. This means that the random creation of a universe is inevitable, thus supporting the hypothesis that other universes outside of our own may also exist. If one totals up all of the energy/matter and space in our universe, it is found to equal zero. So, the law of conservation of energy still holds true, despite the fact the way the energy is distributed makes it appear otherwise. This book discusses the implications of modern astrophysics within the grander scheme of things. Couldn't the Big Bang just be a result of Divine influence? According to the Hartle-Hawking State, the universe technically had no beginning in space or time, as the concepts of space and time are macroscopic properties (larger than the quantum realm) that did not exist until after the universe formed. This means that the universe could have arisen from quantum fluctuations and randomly expanded via the process of inflation. 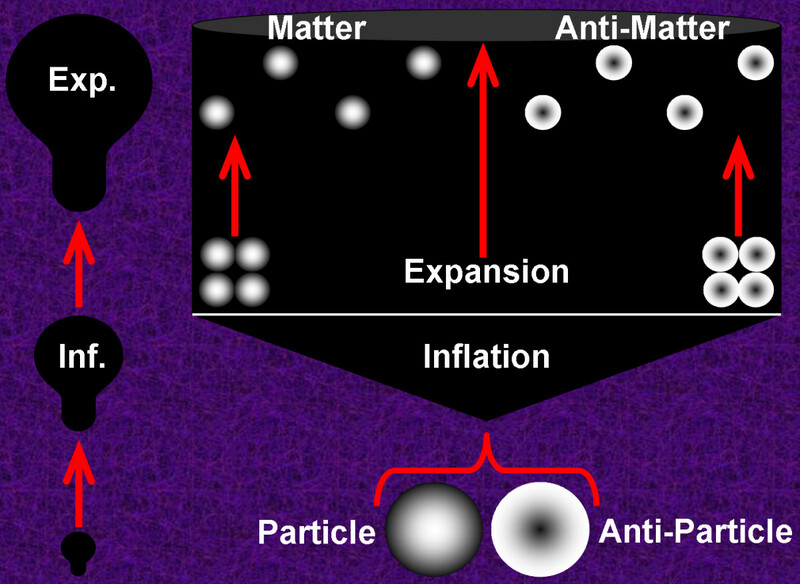 It is only after this period of inflation that time/space began and the four fundamental forces in the universe formed: the electromagnetic force (encompassing the electric and magnetic fields; also known as the Lorentz force), the gravitational force, and the weak (responsible for radioactive decay) and strong (responsible for binding quarks to form protons and neutrons, as well as binding protons to neutrons) nuclear forces. 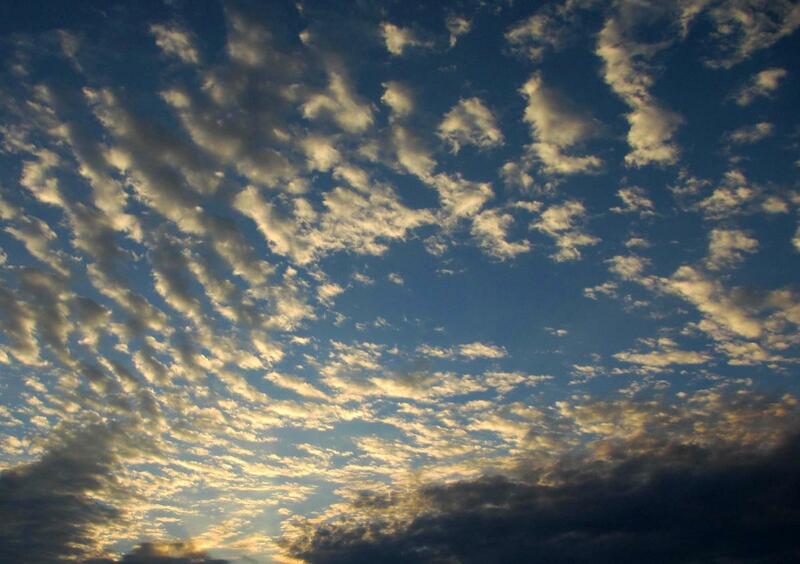 Therefore, no time existed for a Creator to create anything. Magic was not required for the universe to simply "pop" into existence via the Big Bang. If you would like to learn more about the Big Bang Theory, please see the Amazon links below for some useful book resources. Does possessing the knowledge that the universe can manifest itself change your perception of religion? This hub is intended to educate people ranging from experts to laymen about the Big Bang Theory from a practical perspective. This information contains generalizations and by no means encompasses all exceptions to the most common "rules" presented here. This information comes from my personal experience/knowledge as well as various primary (journal articles) and secondary (books) literature sources (and can be made available upon request). All pictures, unless specifically noted otherwise, are my property and may not be used in any form, to any degree, without my express permission (please send email inquiries to christopher.j.rex@gmail.com). I wholly believe feedback can be a useful tool for helping make the world a better place, so I welcome any (positive or negative) that you might feel compelled to offer. As far as leaving feedback is concerned, please mention in your positive comments what you thought was done well, and mention in your negative comments how the article can be altered to better suit your needs/expectations. Thank you for reading! So basically what is being said here is that space is like the empty room. Although it appears to be empty, it really isn't. Correct? If space appears empty and really isn't and what fills this space is particles and anti particles..........where did the the initial particles and principles that govern the particles come from? You see this can go on and on and on down to some infinite micro description that will still not be answering anything only offering beliefs and descriptions which sound like a religion to me. Sure thing, James C LeMaster! The only thing I ask is that my name is credited as the image’s author. Thanks for reading! Out of curiosity, what topic were you going to use the image for? I’ve just updated the image to emphasize the back-and-forth nature of such quantum fluctuations to help further understanding, so thanks for bringing it back to my attention! 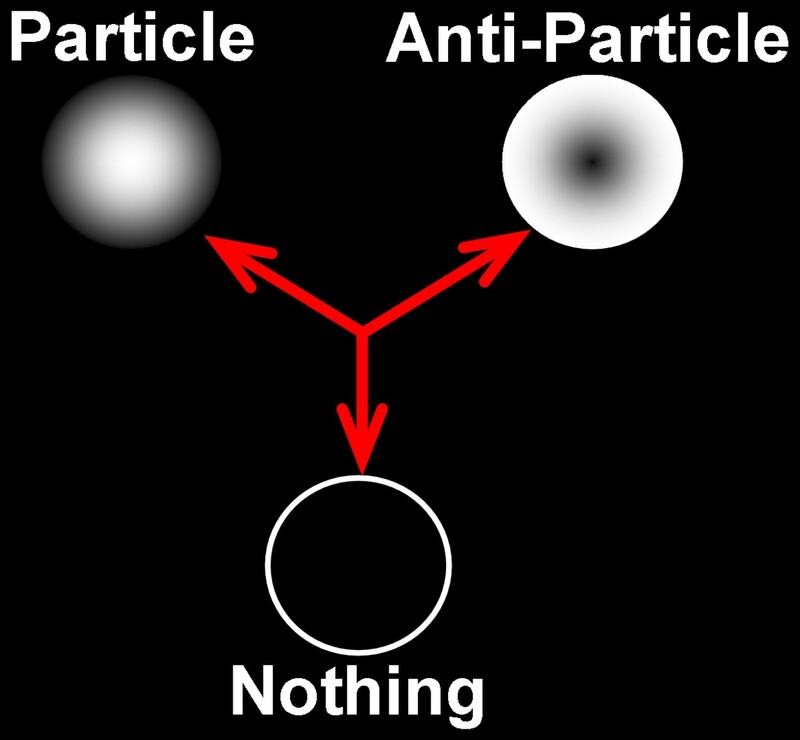 I found the image above where nothing splits into two "somethings" (matter and anti-matter) the best and simplest graphic representation of this theory that I have been able to find on the internet. May I use it for a power point at my church? I lead teenagers and straightforward graphic images are a great help instead of just talking about abstract ideas in words. This would be a great help to me. It depends on the level we are tailkng about. People like Stephen Hawking even think Einstein's Theory of Relativity can be improved upon because it is an approximation and does not meet the observations exactly. There are still questions about the differences between quantum physics and relativity. There are still things in the quantum world that remains mysterious such as entanglement. There are new species being discovered all the time which open a new light into the time period of evolutionary occurrences. And so on. I wouldn't label any of these total failures. More of a narrowing down to the truth. What's your thoughts on the space-time continuum, space-time distortion and/or do you think space has the ability to curve? If the big bang created this universe in that particular way, why is the expansion speeding up? Do you think that dark energy is acting like anti-gravity? Concerning the multiverse theory, what do you think happens when two universes collide? If you believe in multiple universes, would it be similar to comparing each universe to an atom featuring mostly empty space? Massive amounts of matter coming from a proton-sized space, still sounds magical to me; ha! Well, I’m sorry you feel that some my statements are overly wordy. I have been forced to do that because it is apparent that my “terse and succinct” statements are not well understood by laymen such as you. For example, I find it funny how even though we’ve already briefly discussed the differences between Science, Philosophy, and Religion, you still appear to be having difficulties distinguishing them. That is truly disappointing. You saying, "As for the madness, I must have studied different types of sciences, but to each their own," was not solely responsible for me bringing up your scientific background. I was simply waiting for an opportune moment to bring it up and that was it. A portion of your very first comment, “In all honesty, I detest this theory of nothingness,” made me begin to question your background, as that was a remark I’d expect from a layman. Actually, I’m sure I nailed the point about the names and titles thing pretty well. As you seem to lack any names/titles (and detest them greatly), allow me to inform you of the utility in having them. If they represented something that existed purely on paper, then yes, I would agree with you that they held little bearing on anything in the world. This is not, however, the case. People go through the process of acquiring those credentials because, believe it or not, it actually does help expand their knowledge/skill set while honing their abilities in that respective field. Going back to your example, you might be a Chef capable of creating an awesome, tasty cuisine for 10 people, certainly! A degree in Culinary Arts would not only make you an even better cook (with respect to quality and variety), but also teach you how to cook for 200 people in an industrial kitchen while commanding a large staff of other cooks and assistants. Couldn’t you learn all that through experience? Yes, it is possible, but not in such a condensed timeframe (4 years in school could be equivalent to 10 years or more of real-world experience as far as your base of knowledge is concerned). So, just imagine all the things you could actually do, prove, and create with your godly powers being further magnified by possessing a physical name/title! You would be unstoppable! You also appear to believe that intuition and imagination are somehow at odds with knowledge. They are not opposite ends of the spectrum, as it is possible to have it all. It just takes effort and practice, things that you don’t seem to put enough stock in (you were apparently born awesome and refuse to change or improve otherwise). Although I would agree with you that intelligence and awareness are more important than knowledge, it does not excuse your ignorance on a topic which you claim to be proficient in. I never stated that your opinions were “unworthy” of being posted here due to your lack of a scientific background. You extrapolated that all by yourself since you are self-conscious about such things. I simply said that you possess some misconceptions about Science and fail to understand some of its finer aspects. Like I stated before, just because Science hasn’t discovered the answer to every question, doesn’t mean that you should remain ignorant of current scientific understandings. You must first possess a good deal of raw knowledge before knowing what avenues of research have yet to be explored. Otherwise, you are doomed to prove things that have already been proven and create things that have already been created. Ignorance has the potential to nullify any degree of intelligence/intuition. Contrary to what you stated, it is actually the people who understand the fine details of life that can truly learn to appreciate the big picture. Paraphrasing Carl Sagan, think about it this way: how can you fully comprehend the beauty of life if you don’t realize that we are all made out of atoms that were formed in the death of a star? Have you ever heard of the terms "the superfluity of verbiage?" No, you botched that all up, as that is not what happened. It all started when I said the following: "As for the madness, I must have studied different types of sciences, but to each their own." You also missed the point about the names & titles example, that I gave, which doesn't surprise me. Dang, it sounds like we disagree from opposite ends of the spectrum or something. Look here, I'd love to play the idiot, ignorant, insane role, as I'd be glad for you to educate me... The title of this Hub is "Does the Big bang Theory require Magic?" I told you what I thought, but you insist that I must not be science-worthy because I don't agree with such. Do you remember when I said: "I have plenty of background, especially under mathematics and science, except I'm the reject of the bunch because I'm not an atheist, albeit I'm not into organized religions, either. I think things would move much more smoother, if people wouldn't view science as a religion (without separation), and vice versa. Oh, hell, didn't Einstein have an old saying stating: "Science without religion is lame, religion without science is blind." Does any of that make sense now? I know, I was thinking about it a few moments ago, that the ones looking through the tiny scope will never understand the ones who take things in from a whole. Hell, I'm about ready to just throw my hands up and ask you what 2 + 2 is, because I have met people that play with integers so much, that they no longer believe it is 4. Why do you ask or say that I have no excuse to be ignorant of science, when science is often ignorant of its own science? You left this subject a while back, as I was commenting on your Big Bang Theory Hub and I said a couple of things that made me seem against your science religion (or science hater, as they call it now), and the bottom fell out of our conversation. If you want to be mighty brain, then realize that intuition and imagination is way more powerful than acquired book smarts (trivial baloney, useless tidbits, etc.) or else nothing would ever get invented! Basically, in a thumbnail, I detest the use of names & titles and would rather skip over all of that, and lets see what we know or can actually do, prove, create, etc. I suppose I need a degree in culinary arts to make an awesome, tasty cuisine, as well? LOL! The questions and examples that I utilize are my efforts to educate you on topics that you appear to be deficient in and to encourage some level of constructive thought/conversation. I apologize if they appear elementary, as I am a mere disseminator of information, not a creative writer. Believe it or not, I actually laughed when I read your “madness” comment. I’ve never heard anyone use that term before when describing the natural world and I thought it was rather fitting, which is why I decided to use it in the all-so-classy quote from 300. The natural world is, indeed, filled with many crazy, inter-related things that we have yet to comprehend. The background topic came up because of the way you were treating Science: wielding it as a weapon in your own defense. You know the old saying, “You don’t truly know somebody until you fight them?” This is particularly applicable to detecting a layman’s use of Science in a discussion. A scientist doesn’t wield Science as a weapon, for they have come to realize that Science is simply a part of them; Science comes as naturally as breathing. Your scientific statements and arguments were clunky and awkward (contributing to our misunderstandings), leading me to believe that you didn’t fully understand Science, how it works, and how to use it. So, I decided to outright ask you what your background/exposure to Science was in an effort to know where your baseline is so that I could help get you “up-to-speed” on your knowledge/understanding. That may be why I inadvertently insulted your intelligence, because you kept refusing to inform me of your precise level of scientific background and I had to compensate by talking about things more simply to ensure that you could understand. It’s unfortunate that you became so defensive about your background when I was only trying to figure out how to help you better understand Science. Science is constantly changing, certainly! That does not, however, give you an excuse to be ignorant of it. Non-experts should really embrace the leading theories of the world. Leading theories have the most/best supporting evidence and are backed by the greatest number of scientific experts. It’s unfortunate that while it seems obvious that you shouldn’t tell your auto mechanic how to go about fixing your car (when you know nothing about cars and haven’t had it looked at by an expert, otherwise), everybody seems to think they know more about Science than the experts in the field. I don’t claim to know better than physicists about the Big Bang Theory. I’ve simply assembled the information in this hub from the leading ideas in Cosmology. I do, however, understand how to present and defend their points as a Cosmologist would because I am a scientist. I understand religion/philosophy/science and the differences therein, very well. The only thing insulting, is your Kindergarten questions and examples that you keep using, that insults my intelligence. The whole reason why this came up (the background thingy) is because I mentioned it, and you couldn't stand the fact that I mentioned the word 'madness' during a science subject. I read your Bio and I knew you would throw that name & title thing out, as well. My background, education level, titles, etc., shouldn't have anything to do with the fact that I made my points on this Hub and you felt the need to complicate, misunderstand, and confuse the whole thing. Even when I thought we finally understood each other, you start questioning me about my "faith" in science. What? Like I said, people shouldn't view science as a religion. Why do I need faith in science or some ongoing, changing theory about a Big Bang??? Speaking of madness, which you seem to think doesn't exist in science even though there are loads of crazy ideas and constant mistakes: If a doctor and/or surgeon takes out the wrong organ or kills a patient by giving them blood thinner while proceeding to operate, for example, do you think that by telling the patient's survivors that "well, I have a degree in this, that and the other and that oh, I also graduated from Harvard," will make any difference? I'm sorry that we have got way off topic here, and I have enjoyed our exchange of thoughts, nonetheless. I hope that we can cover additional subjects, later on down the road; cheers! Insane Mundane – You astound me with the skill that you exhibit when avoiding a direct question. All that I asked was for you to elaborate on your Science and Math background. It’s not a difficult or “trick” question, so why do you insist on refusing to answer? All that you keep saying is, “I have plenty of background.” Well, please elaborate upon that (obviously extensive) experience. Simply possessing the intuition abilities of a God and the Math skills of a calculator has not aided your understanding of Science/Religion/Philosophy, apparently. Religion and Philosophy are actually different concepts, which is why I separated them and clarified their use, accordingly. I wasn’t entirely sure which term or meaning you were intending, so I saw fit to include both in my discussion. For the most part, Religion serves to control lives by answering questions (without supporting evidence) and being irrational while relying on faith, whereas Philosophy serves to ask questions (the kinds that can be answered using scientific evidence) and make conclusions by being rational while relying on statistical probability. I find it unfortunate that you should stoop to insulting me and being unnecessarily sarcastic, as I’ve been rather enjoying our conversations. I have attempted to state things plainly and matter-of-factly with supporting evidence, eliciting minimal emotional involvement. I am an atheist scientist, yes. This just means that I don’t tolerate claims being made without evidence to support them (which is the same standard that any rational person should hold themselves to). pmorries – I’ve actually already written a hub about the importance of snake venom research ( https://hubpages.com/politics/The-Utility-of-Snake... ) and as much as I’d like to write a hub on snakes not being Satan’s pets, I feel that there are already enough articles explaining why snakes are our allies and not our enemies. As I mentioned above, I try to remove most of my personality from my writing in an effort to remain focused on the facts. Thank you for your attempts to diffuse/re-direct the discussion - per usual, it was entertaining. Okay, you got me. I did not read all of the comments (I was human and lost interest). Satan's Sock Puppet? Hmm, I kind of like it. By the way, I'm the one who originally brought up my science background; now why would I do that if I'm concerned of such... LOL! And think this song:- What do you do with the mad that you feel by Mr. Rogers. Okay, I have been called Mr. Rogers (which is sort of an honor), and one has had his science background questioned. And, yet another has been called an atheist (like that is a bad thing). Mundane, I would like to read another cool Hub (please sir, can I have some more?). Rex, it might be cool to write a hub about snakes not being Satan's pets (and title it as such), and explain how important snake venom research is (show your brains and more of your personality). What should I do (be nice!)? I will write a Hub about time. Does time really exist or is just an illusion, and if time, as Einstein hypothesized, is only a convincing illusion...than when does an illusion become reality? Thank you so much for responding almost exactly as I thought you would... Even though I have the intuition of a God and the Math skills of a calculator, I shall yield to your titles because most of my knowledge was simply due to trial & error and experience, under the field of an elementary "life science" because I'm not an atheist... Thanks for filling in your profile, as my intuition told me these things beforehand, but regardless of a preliminary questionnaire, you just filled in the blanks; much appreciated! Dang, you have such fun-filled Hubs and I'm glad we could cover both aspects of the sensationalism realm... LOL! By the way, I like how you replaced the term 'religion' with 'philosophy' which is a wise move for a proud atheist, albeit I am not such things; cheers! I was inquiring about the specifics of your Science background (which you still didn’t adequately address) because you appear to treat Science with a hint of disdain/mistrust/ignorance that a practicing scientist would not. You behave more like a writer and philosopher than a scientist. For example, I have a B.S. in Zoology, Ecology, Chemistry, and Biochemistry, an M.S. in Biology, and three peer-reviewed publications (from my three years of Master’s research) in progress. I have also presented my work at three national conferences and talked with the leading experts in my field. So, I have a strong background in Science and understand the scientific process very well. Philosophy comes into play when creating a hypothesis, certainly. Most aspects beyond that, however, are dependant on statistics (having a p-value less than 0.05 signifies “significant” results, depending on what specific discipline you are in). Although conclusions can be open to interpretation, the peer-review process helps balance this, as well as the fact that readers can draw their own conclusions from the results that are presented. So, yes, there is an inherent need for Philosophy in Science, but its role is only as an instigator and finalizer, with the bulk being hard evidence planted in statistics. Statistics is very different from Religion, as Religion requires blind faith (with a less than 5% success rate, but often at 0%) while statistics simply relies on chance (with a greater than 95% success rate). Why do you do that? You just confused another simple statement of mine, when I basically said that even a little kid without scientific knowledge can understand gravity. I was glad that we got over our initial misunderstanding and now you want to create more? LOL! I have plenty of background, especially under mathematics and science, except I'm the reject of the bunch because I'm not an atheist, albeit I'm not into organized religions, either. I think things would move much more smoother, if people wouldn't view science as a religion (without separation), and vice versa. Oh, hell, didn't Einstein have an old saying stating: "Science without religion is lame, religion without science is blind." Ahhh, okay. That makes sense now. Sorry about that misunderstanding. "Even as a little child, I realized that things fall back to the Earth." = So, you are saying that only if you, personally, can observe and describe a phenomenon, then you'll put equity in it? You can't trust the observations, experimental results, and theories of scientific experts? Speaking of Science, what kinds of Science background have you had? You don't exactly act like a scientist, otherwise you would put more "faith" in modern scientific understanding. It is not a contradiction, but it may appear that way if you cut it off before the point is made. "The problem is that prior to the Planck time (Planck epoch/era), the universe is so small that quantum mechanical effects become very important. Therefore, a correct description of the behavior of the universe prior to the Planck time requires a synthesis of quantum mechanics and general relativity--a theory of quantum gravity, in other words. And to this date, no full theory of quantum gravity has been developed, much less attained the consensus status that post-Planck-time Big Bang theory enjoys." Which is one of the reasons why I said "You mention some quantum aspects within this Hub, which doesn't really work for this theory as the studies continue,” as I was talking about the original Big Bang theory not the new one that may develop years later. ...It goes back to when I said "quantum mechanics is on the brink of totally changing the traditional Big Bang baloney concepts..." The theories that surface from hereon may still be similar to the original Big Bang theory, but like most things, ideas evolve and change over time (for a multitude of reasons) and what once was thought to apply to certain concepts may not any longer. I really didn't know what I said was going to be took wrong, when I first wrote it. As for gravity, I never had to write formulas or utilize my awesome math skills to realize that I would not live from jumping off of a tall building. Even as a little child, I realized that things fall back to the Earth. I hope this clears up our misunderstanding. As for the madness, I must have studied different types of sciences, but to each their own. “You mention some quantum aspects within this Hub, which doesn't really work for this theory as the studies continue,” and then, “The problem is that prior to the Planck time, the universe is so small that quantum mechanical effects become very important,” = appears contradictory. “It all ends up being a bunch of mathematics, theories, models, and notions that are all drawn out on paper with no real value.” = If you feel that gravity is simply something written on paper that holds no real value, then why don’t you jump off of a tall building? Obviously, you realize that such an act would be foolish, meaning that you do, indeed, attribute at least some value to the mathematics and concepts behind our understanding of gravity. I didn't make a contradiction, as I merely said that "quantum mechanics is on the brink of totally changing the traditional Big Bang baloney concepts... Dang, no wonder they came up with a String Theory to try to cope with this madness!" The "Big Crunch" theory would be just as much a theory about the end of the universe as the beginning, in my opinion, as both the big bang, the big crunch, and the big bounce are all required while representing the Oscillating Universe idea. I'm yet to figure out why you said: "If you truly feel that these concepts hold no real bearing on explaining the world around us, why don’t you jump off of a tall building and test gravity for yourself?" Unless I'm on PCP and just wanting to "try it out," I see no reason to commit suicide... What? Either way, I'm glad you are getting to write about subjects that interest you greatly and look forward to reading more of your science-related works in the future. Hopefully, some of these topics will trigger some writing ideas for me as well, albeit I'll probably write about those types of subjects on other websites; cheers! Yes, Insane Mundane, I’ve been utilizing your “Magic” theme as an excuse to construct articles I’ve always wanted to write. As I attempted to point out in this article, singularities are still not well understood, conceptually or mathematically. This may be partly explained by the following quote from Dr. Michio Kaku, “Common sense has no place in the quantum world.” In addition, if we can’t even comprehend singularities that we know exist in the center of observable black holes, how could we hope to understand a theorized Big Bang singularity? Our ignorance in HOW something works isn’t evidence against the phenomenon, itself. Take a lesser known hereditary disease, for instance: just because we haven’t yet ascertained which genes are responsible for manifesting the condition, doesn’t mean it’s not genetically-based. Apparently you have numerous misconceptions about the “mathematics, theories, models, and notions” that you feel possess no real value. Scientific theories (and laws) are ways for us to explain and predict our observations of the known universe, using mathematics and conceptual models. 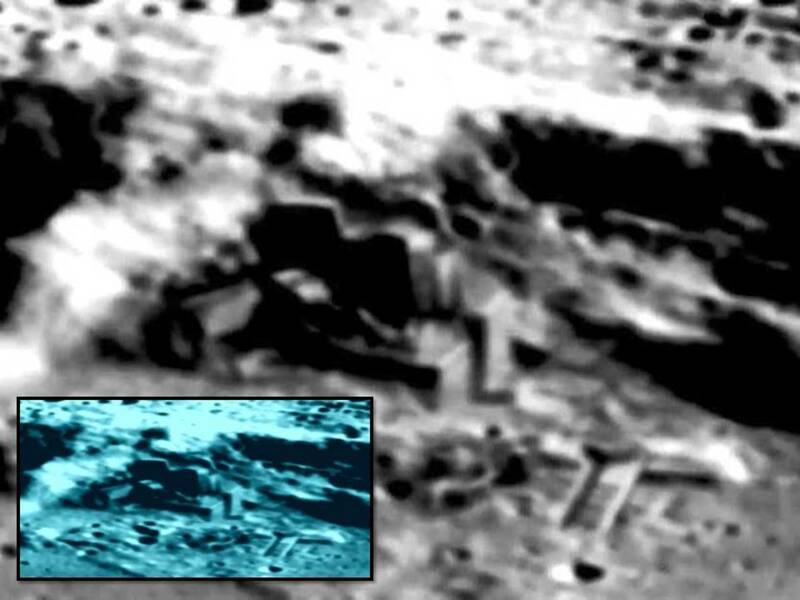 These concepts are not just things mentioned by one person “in passing” to some other people (that happen to agree with them because they feel that the concept is accurate); these concepts are supported by mounds of scientific evidence to accurately explain/predict what we see. If you truly feel that these concepts hold no real bearing on explaining the world around us, why don’t you jump off of a tall building and test gravity for yourself? I find it interesting how you specifically mention that quantum aspects don’t really apply to the Big Bang Theory, and yet, you specifically discuss singularities and quantum gravity. Contradiction? Membrane and string-based theories have been gaining momentum in the realm of theoretical Physics as of late, yes. It is entirely possible that our current understanding of the universe coming about from a spontaneous Big Bang will be modified in the future to fit within the paradigm of membranes/strings. Also, you appear to wield the “Big Crunch” Theory as a theory of the origin of the universe, when it is really theorizing the end of the universe (everything coming back together to re-form the initial singularity; in some cases thought to prelude the “Big Bounce,” which is part of a cyclical model of the universe). Other end-of-the-universe theories include the Big Rip (everything being torn apart by dark energy) and the related Big Chill (everything will cool as the universe continues to expand until all heat is lost and equilibrium is reached). Thanks again for reading a hub of mine, InsaneMundane, and offering your comments on the matter. Pmorries – Thanks for the compliment. You can consider my replies to your strange comments as payment, enough..hah! @ Window Pain: Those last few tidbits came from some science-related site. I think they meant Planck epoch (or Planck era), instead. Your definition of Planck Time is incorrect. It's a unit of measure, not a specific period in time. @pmorries: Not everything requires faith, as many things can easily be proven wrong, regardless of your Mr. Rogers' philosophy; LOL! Magic, God,or science it is all a matter of faith , or what you want to believe (none if it can be proven).- Won't you be my neighbor? Christopher, this Hub was well done and interesting, but I have already told you how the universe was made (you need to pay me!). I like how you are utilizing the whole "magic" theme; LOL! In all honesty, I detest this theory of nothingness. As described by Einstein's Theory of General Relativity, the origin of the Big Bang is a mathematically nonsensical state - a "singularity" of zero volume that nevertheless contained infinite density and infinitely large energy. Now ... that does sound like magic, if one prescribes to such notions of the big bang spawning from a minuscule point of this mysterious "singularity." It all ends up being a bunch of mathematics, theories, models, and notions that are all drawn out on paper with no real value. You mention some quantum aspects within this Hub, which doesn't really work for this theory as the studies continue. In fact, I just read how quantum mechanics (from some science site with an Australian domain), is on the brink of totally changing the traditional Big Bang baloney concepts... Dang, no wonder they came up with a String Theory to try to cope with this madness! There are so many possibilities and, don't get me wrong, I know that this is one of the most accepted theories, but the "big crunch" theory along with several others, makes more sense than matter (that is claimed by many to not be able to be created or destroyed) that came from nothing and/or a tiny, minuscule point of singularity. The entire notion is insane! I suppose all the water and ice in the universe, not to mention the rocks, stars, planets, blah, blah..., all where the size of a needle point at one time? Ha! There is a point in time called the "Planck time" (after the late physicist Max Planck, one of the pioneers of quantum mechanics) before which our ability to infer the behavior of the universe on the basis of general relativity alone is destroyed. The problem is that prior to the Planck time, the universe is so small that quantum mechanical effects become very important. Therefore, a correct description of the behavior of the universe prior to the Planck time requires a synthesis of quantum mechanics and general relativity--a theory of quantum gravity, in other words. And to this date, no full theory of quantum gravity has been developed, much less attained the consensus status that post-Planck-time Big Bang theory enjoys. Without such a theory, we cannot draw from cosmology any conclusions about whether the universe had a beginning or not. Thanks for writing this Hub, as the subject matter is interesting, nonetheless; cheers!